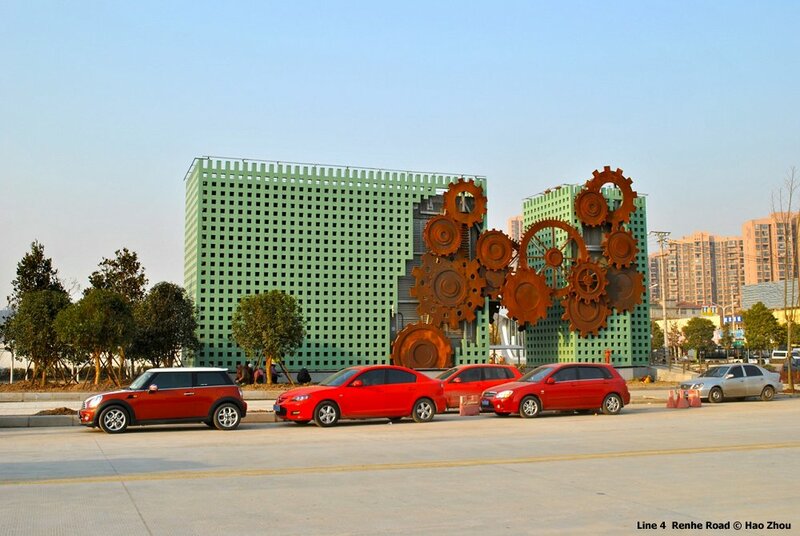 Wuhan, capital of Central China's Hubei Province and located by the Yangtze River, has some 8 million inhabitants. 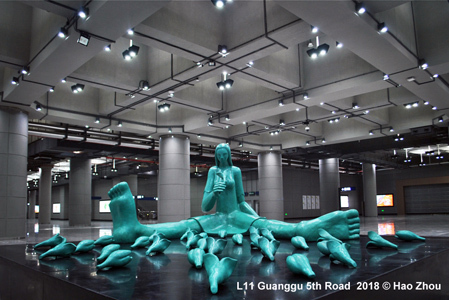 The city actually consists of three parts - Wuchang, Hankou and Hanyang - separated from each other by the Yangtze and the Han Rivers. 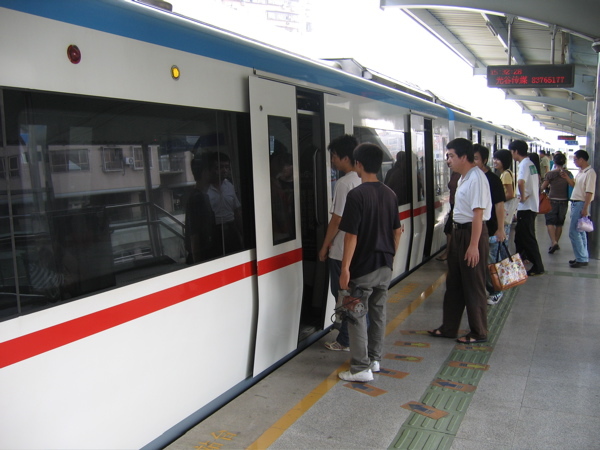 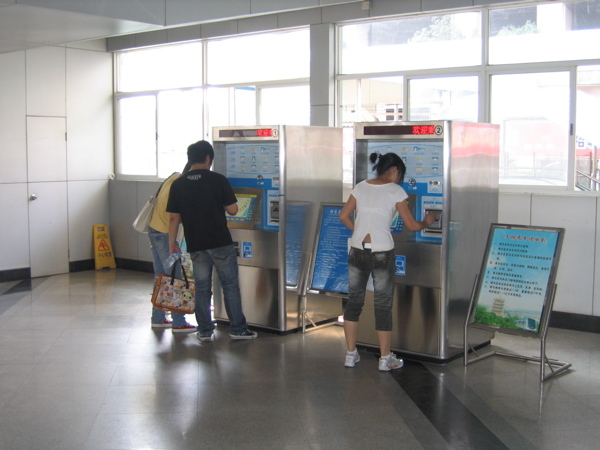 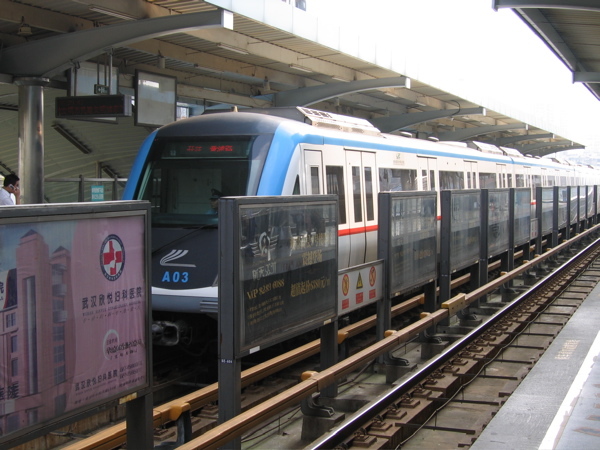 In September 2004, Wuhan became the fifth Chinese city with a metro (after Beijing, Tianjin, Shanghai and Guangzhou). 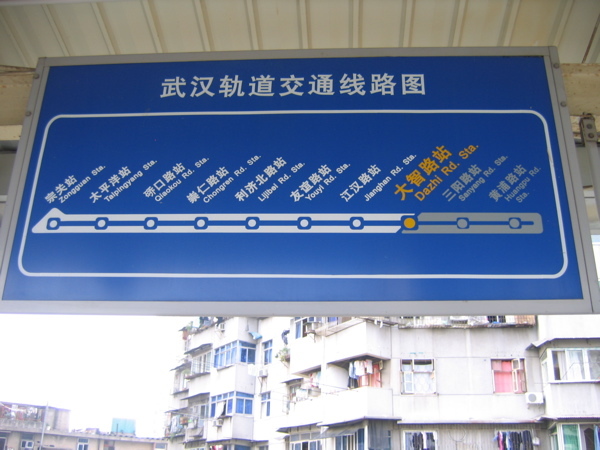 The first 10.2 km line (10 stations) is an elevated metro. 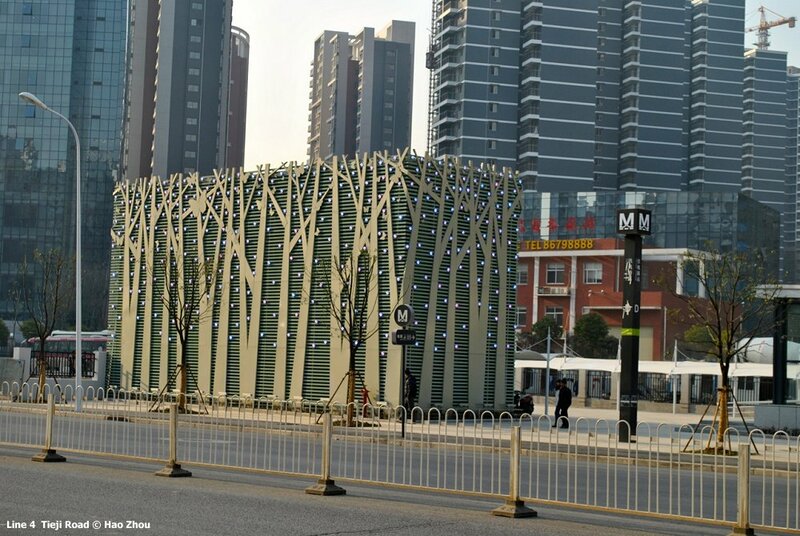 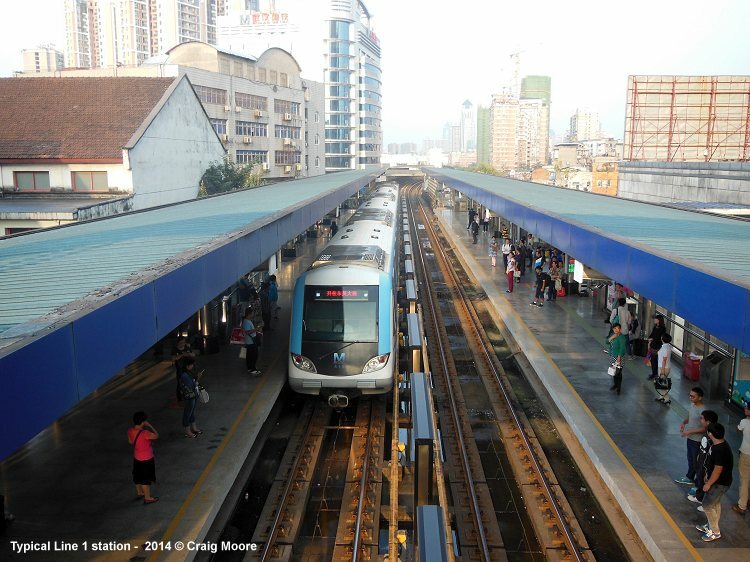 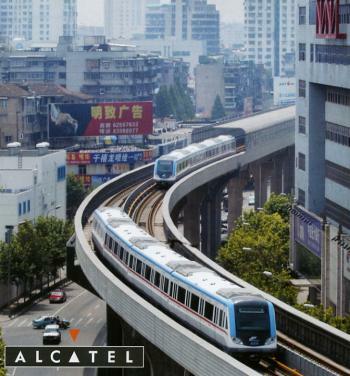 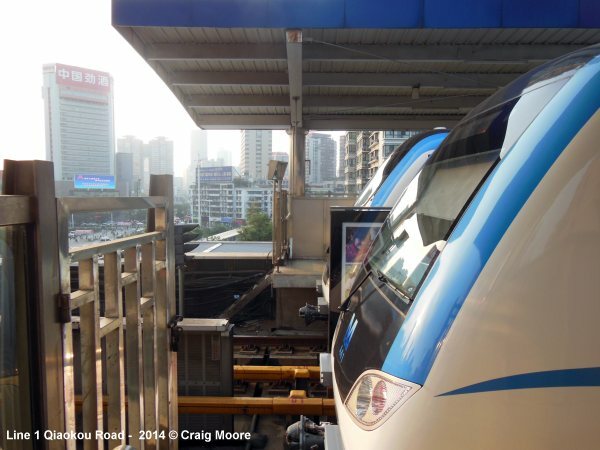 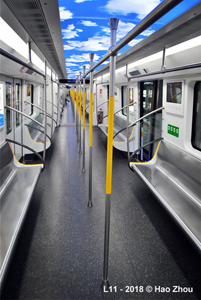 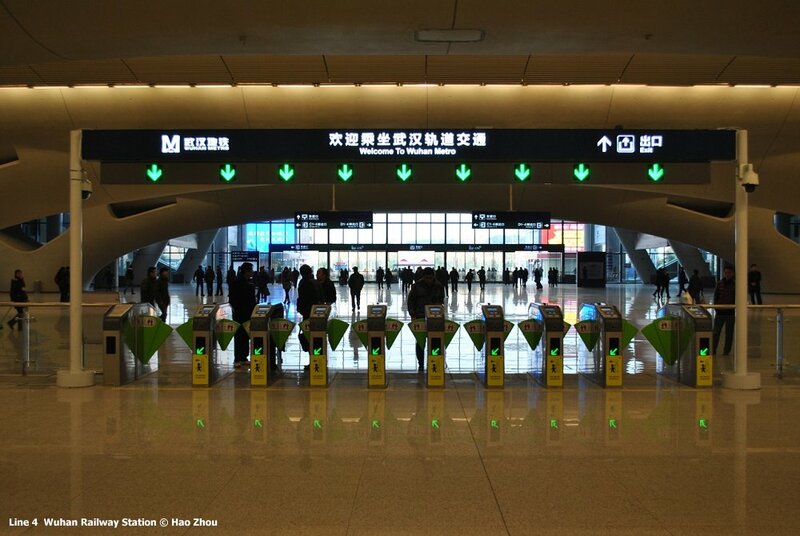 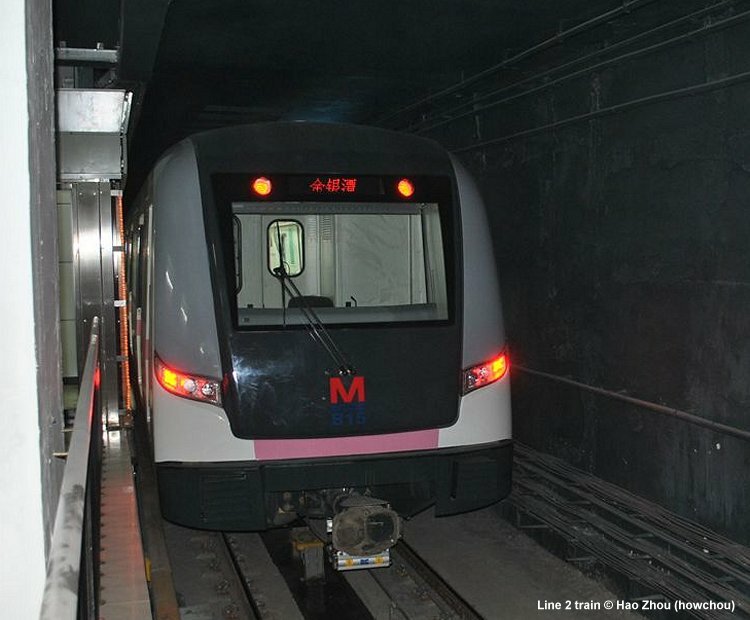 It runs from Huangpu to Zongguan in the downtown area of the Hankou District, and it is the first one in the country to use a communication-based train control system, provided by Alcatel (SelTrac® S40 CBTC). 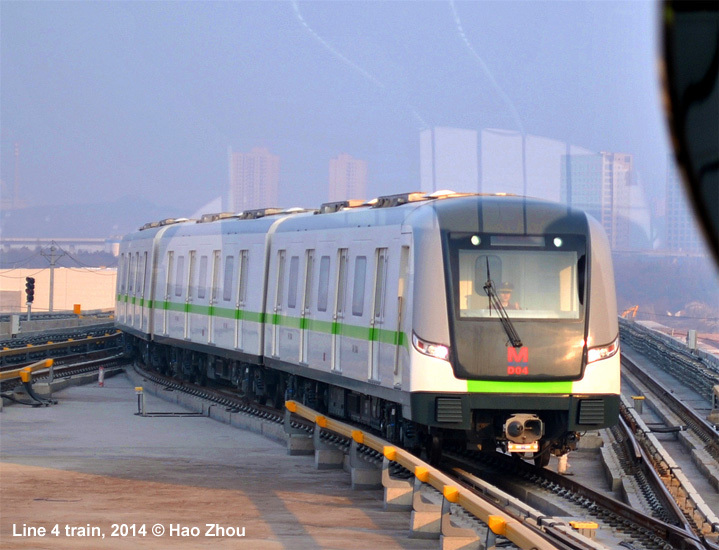 The designed minimum interval is only 90 seconds between two trains and driverless operation. 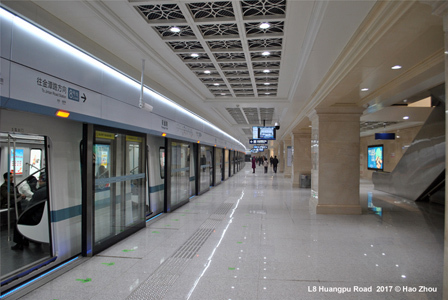 As of 12/2017, Line 1 (Hankou Line) has a total length of 38.2 km and 32 stations. 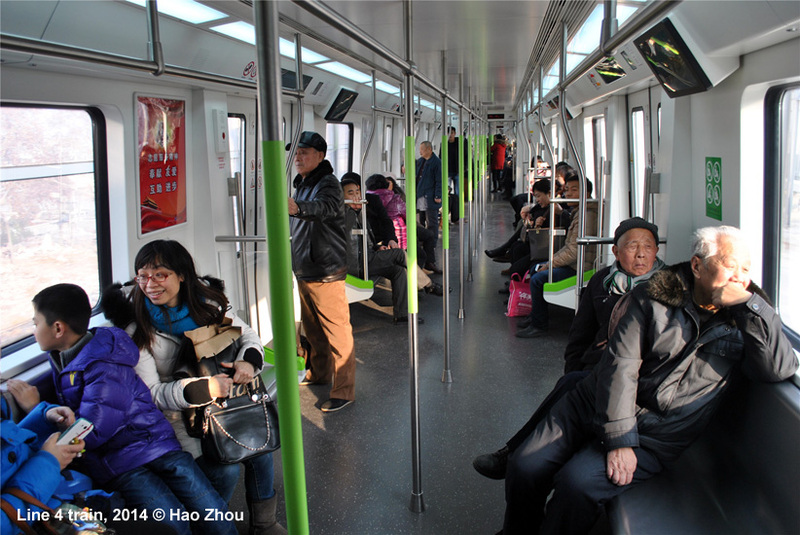 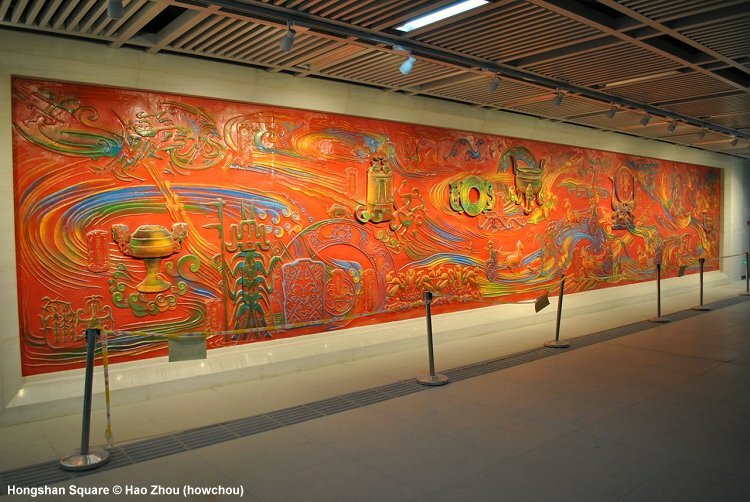 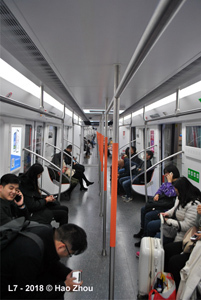 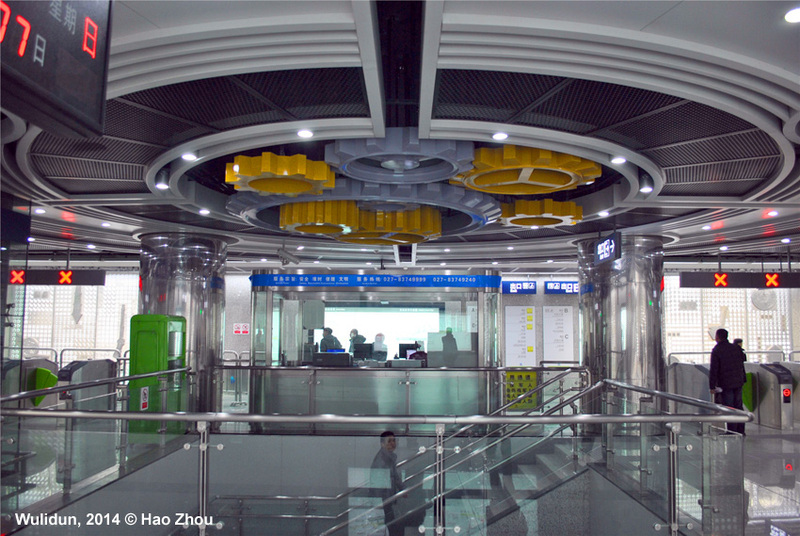 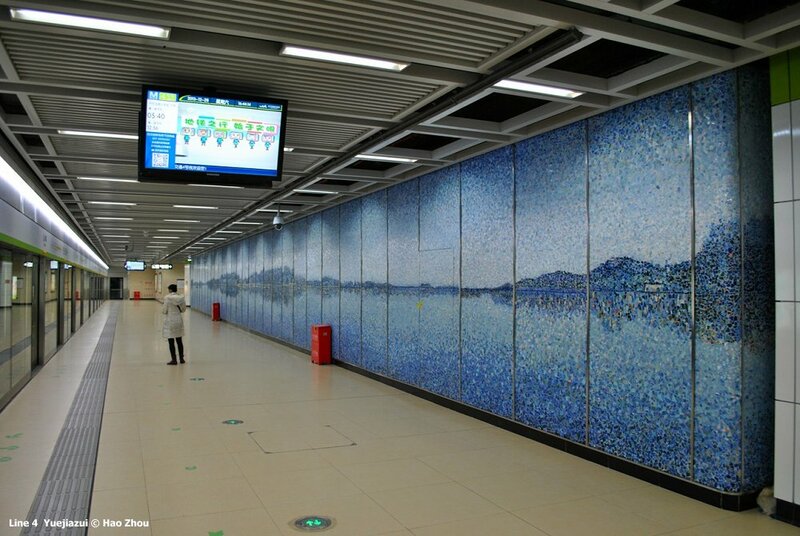 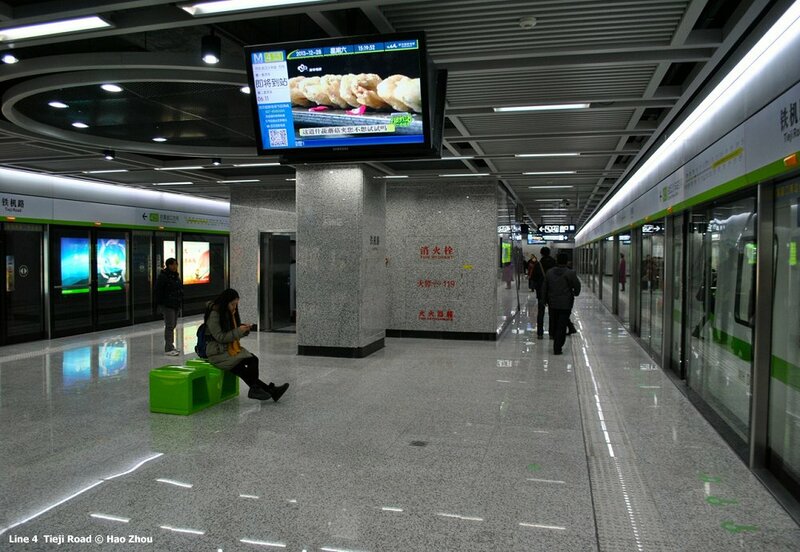 60.8 km; Wuhan's second metro line runs from Hankou to Wuchang passing beneath the Yangtze River. 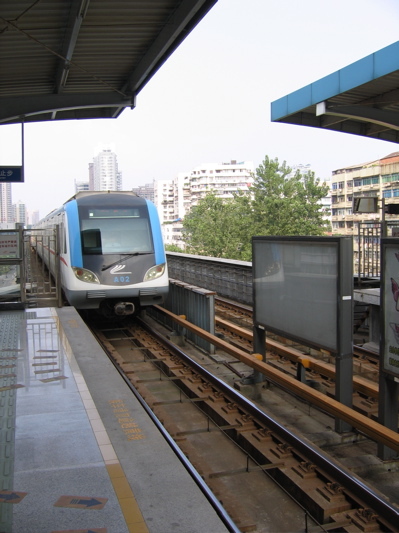 Wuhan's third metro line runs from Hankou to Hanyang passing beneath the Han River (30.1 km, 24 stations, all underground). 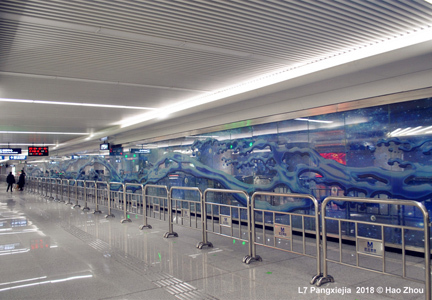 More Line 3 photos here! 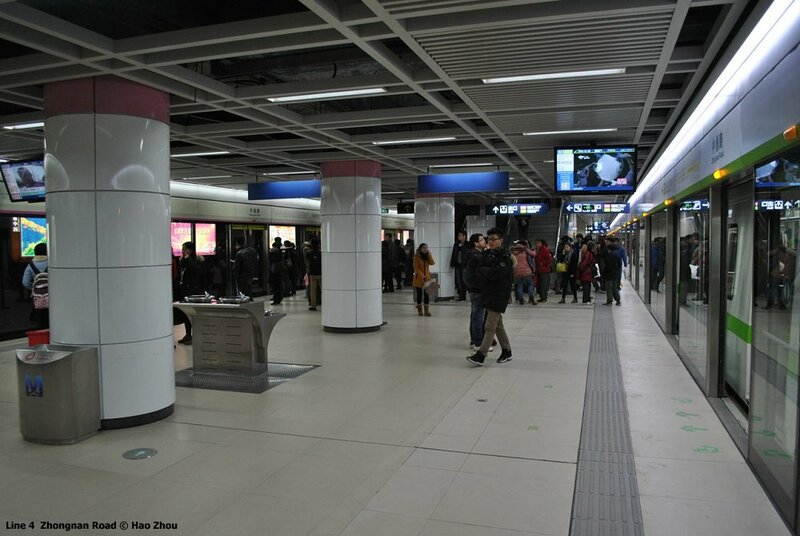 More Line 6 photos here! 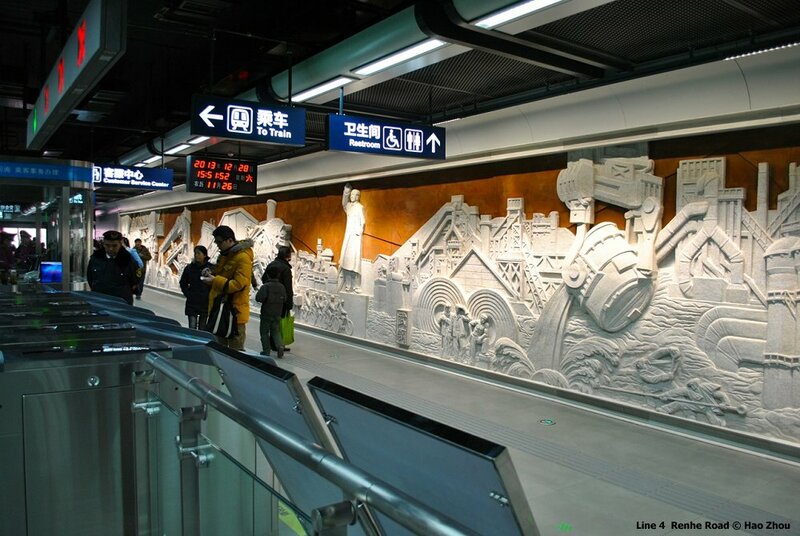 More Line 7 photos here! 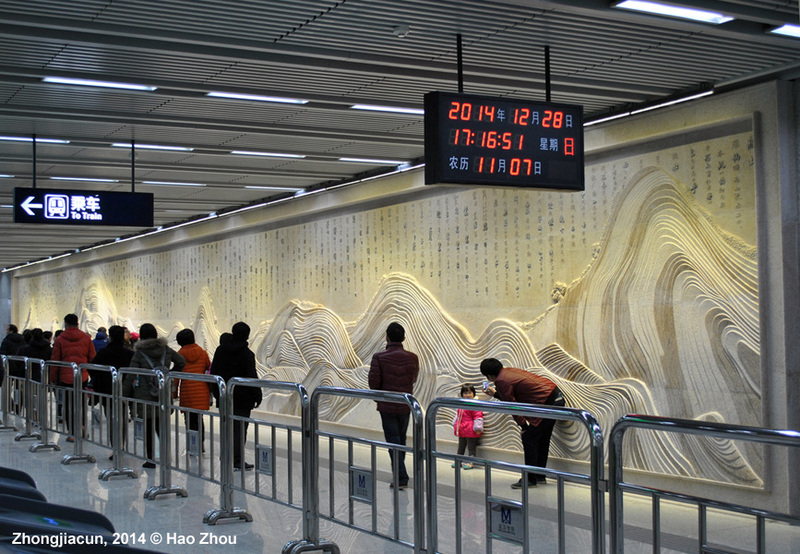 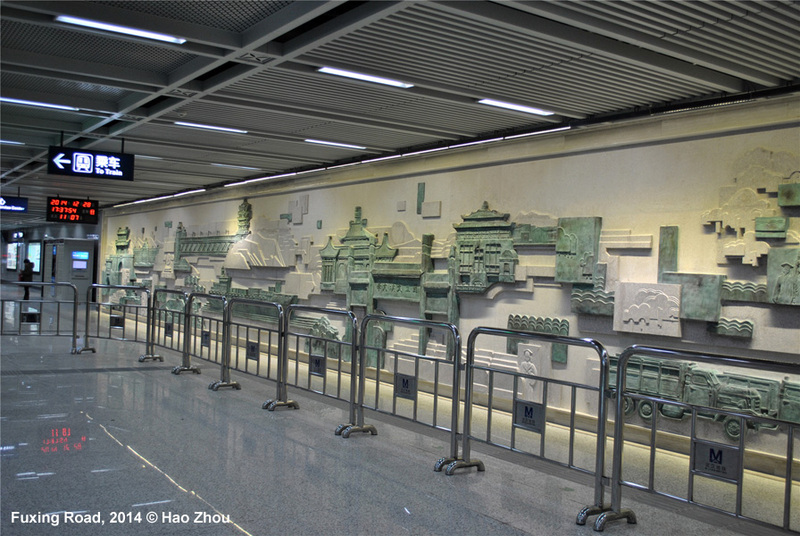 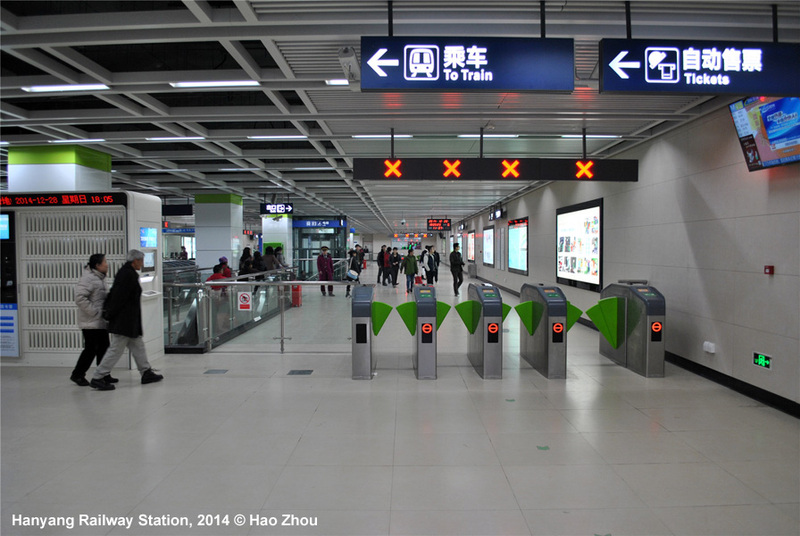 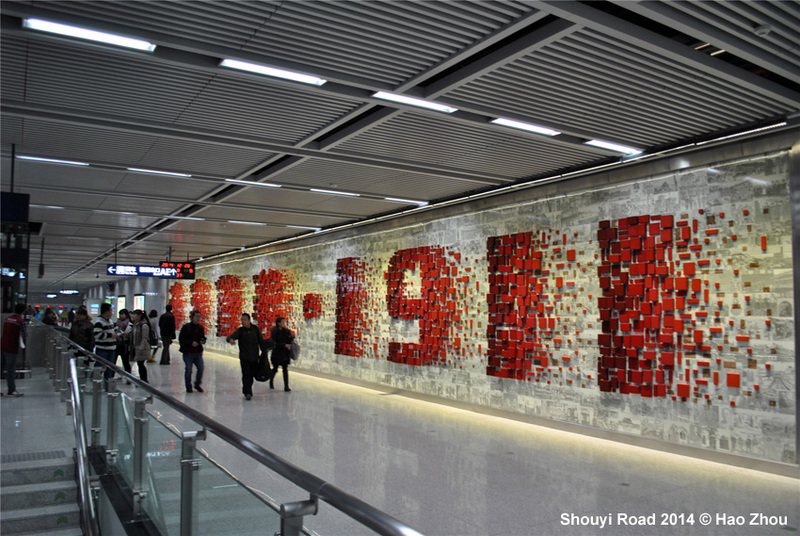 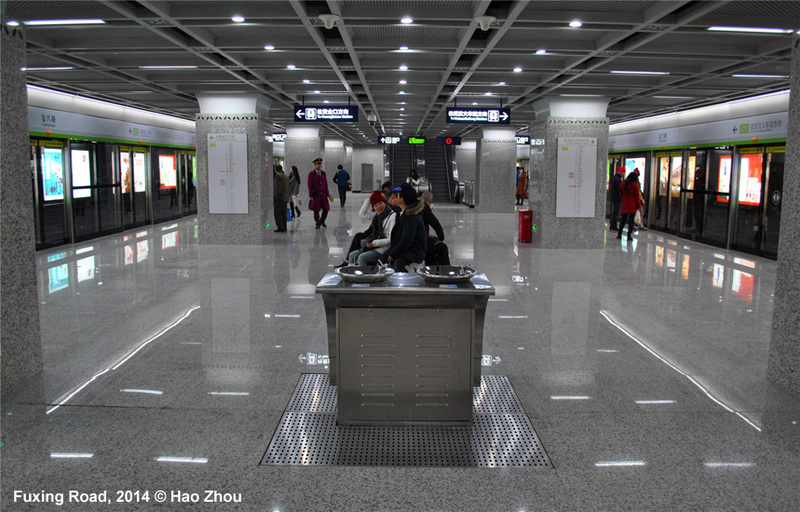 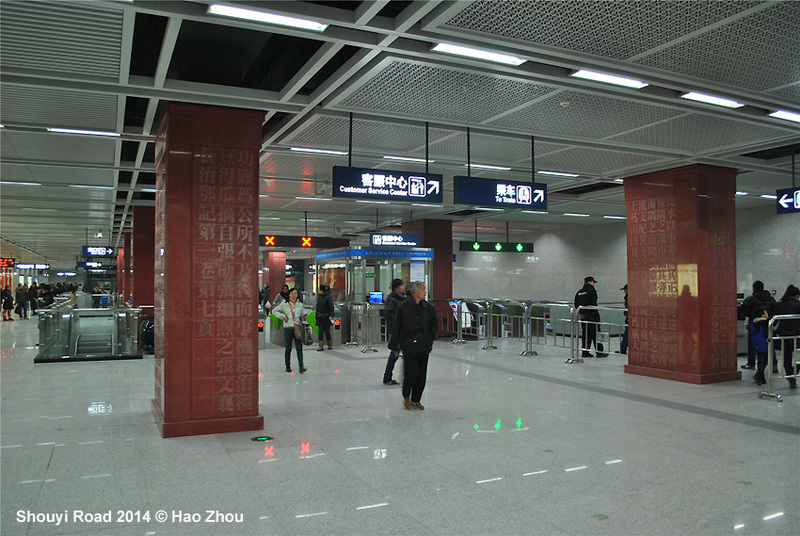 16.7 km, 12 stations, all underground: North-south line linking Hankou to Wuchang passing beneath the Yangtze River. 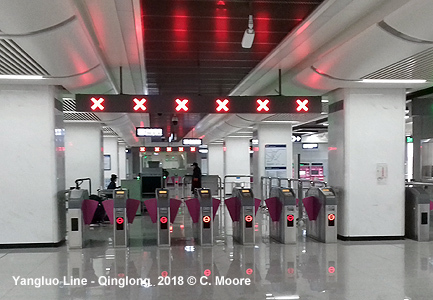 More Line 8 photos here! 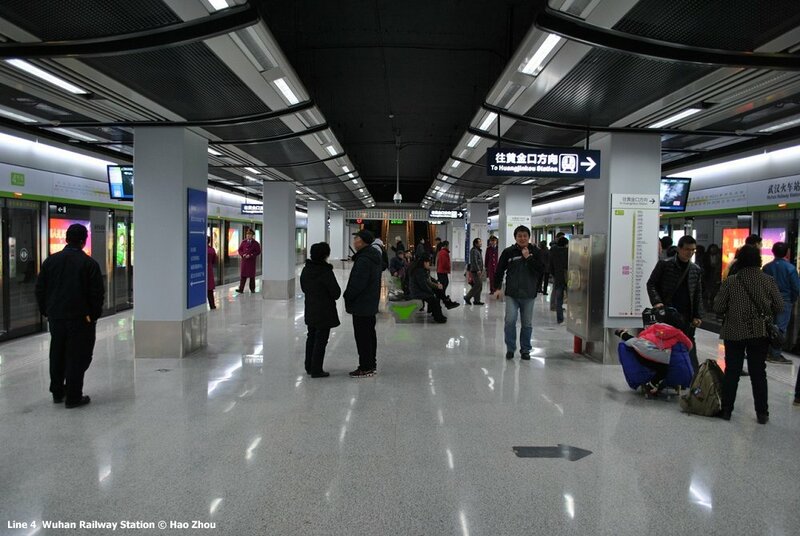 More Line 11 photos here! 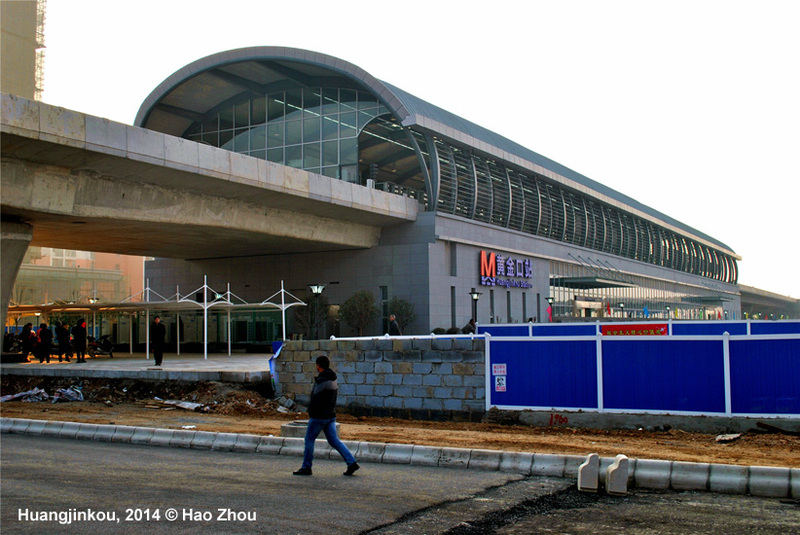 Suburban metro line - 35 km, 16 stations; from Houhu Boulevard to Shenjiaji underground, the rest is elevated. 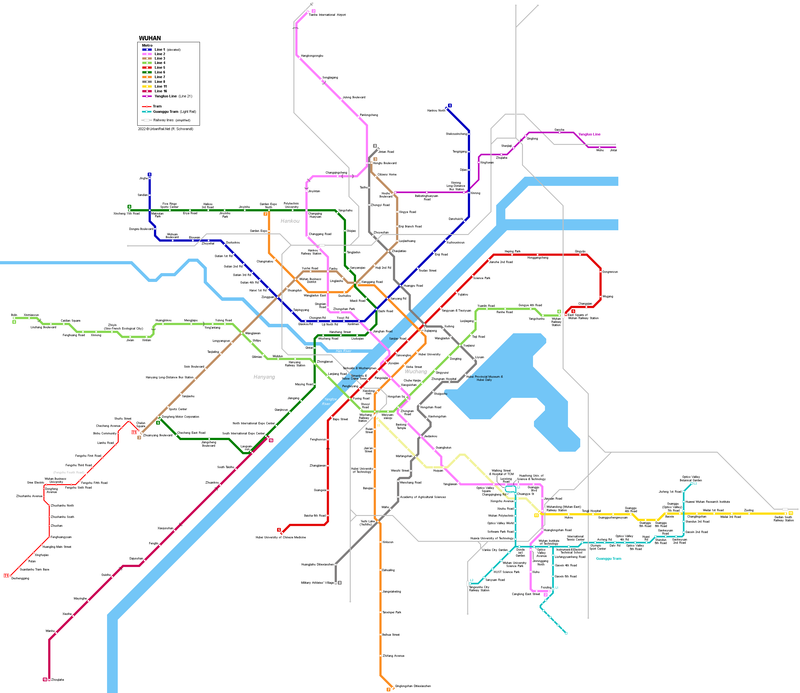 Planned network of 7 lines totalling 220 km to be built over the next decades. 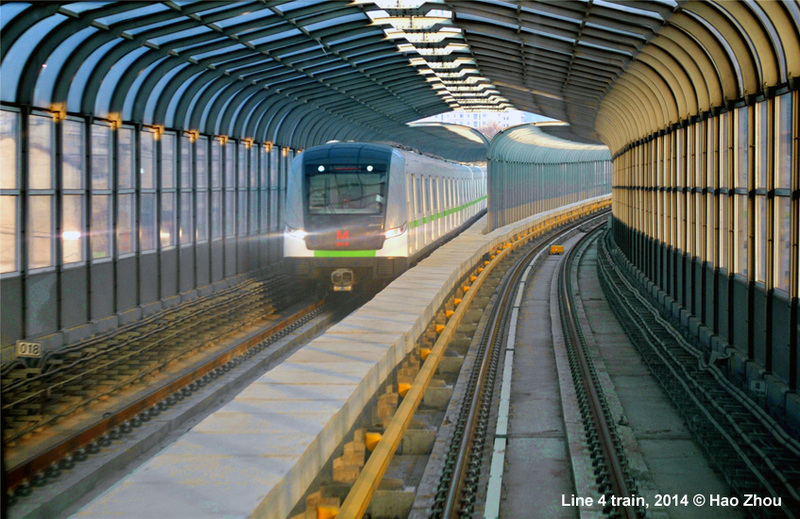 Most lines will be constructed underground. 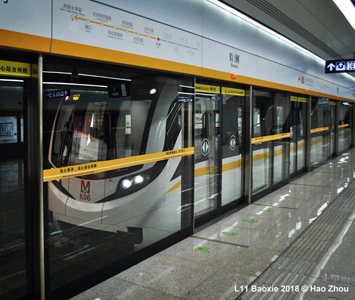 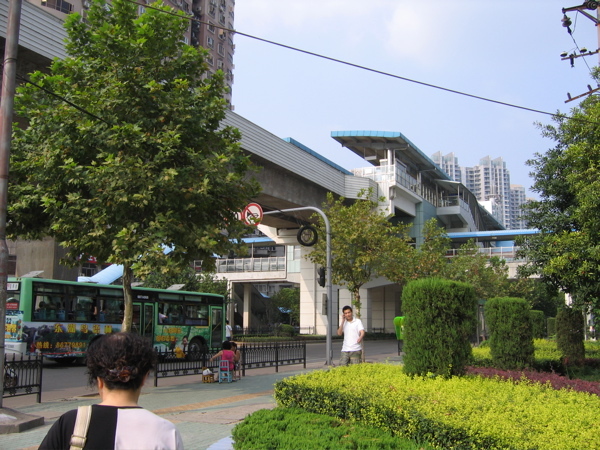 Wuhan's first tram line (Auto City T1 Line) opened on 28 July 2017 in the southwest of the city as a logical extension of metro line 3. 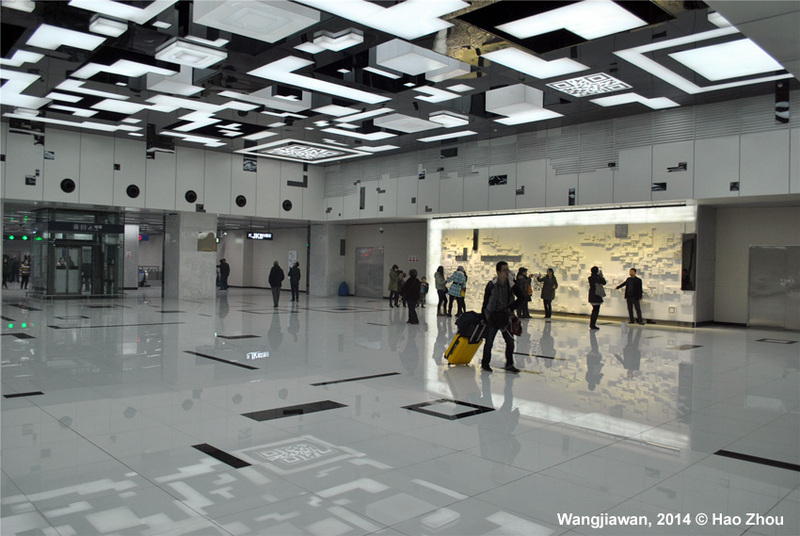 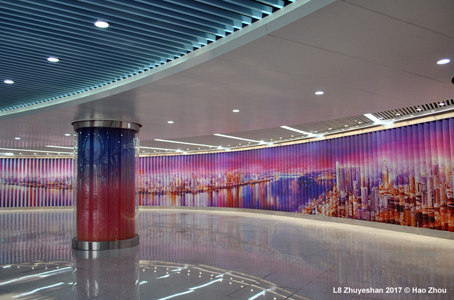 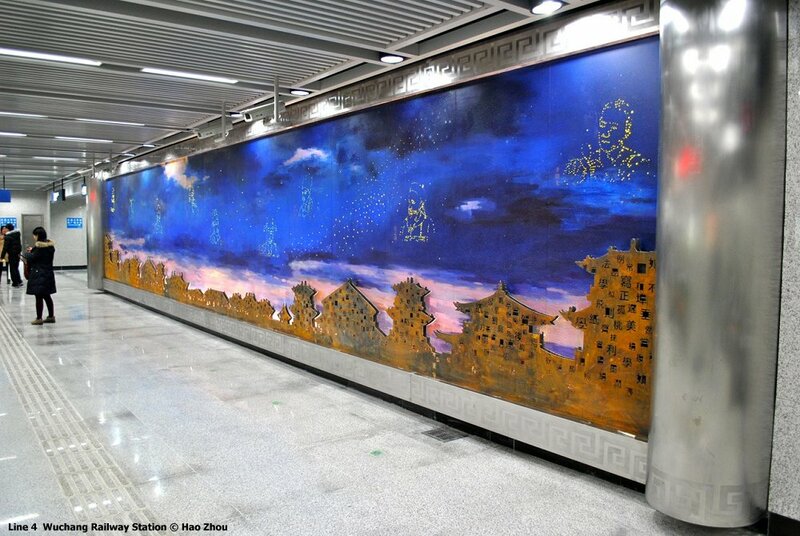 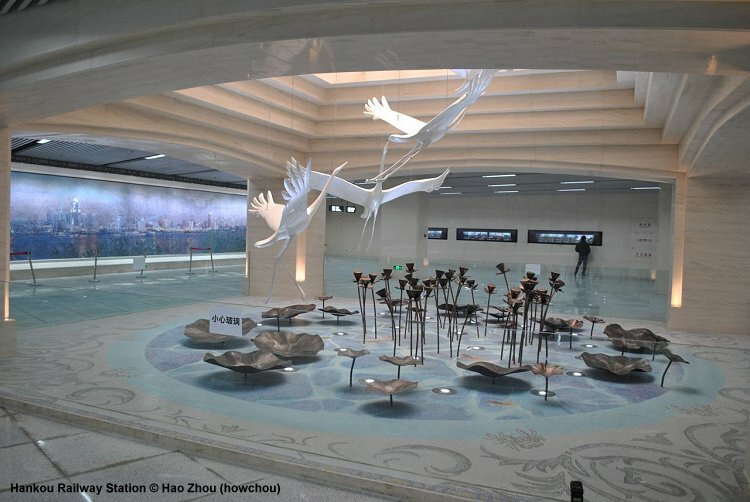 "What I find interesting in Wuhan is that they have some appealing station architecture and ornamentation but also that they have had several unambiguous phases of Metro development with real tangible change at each stage. 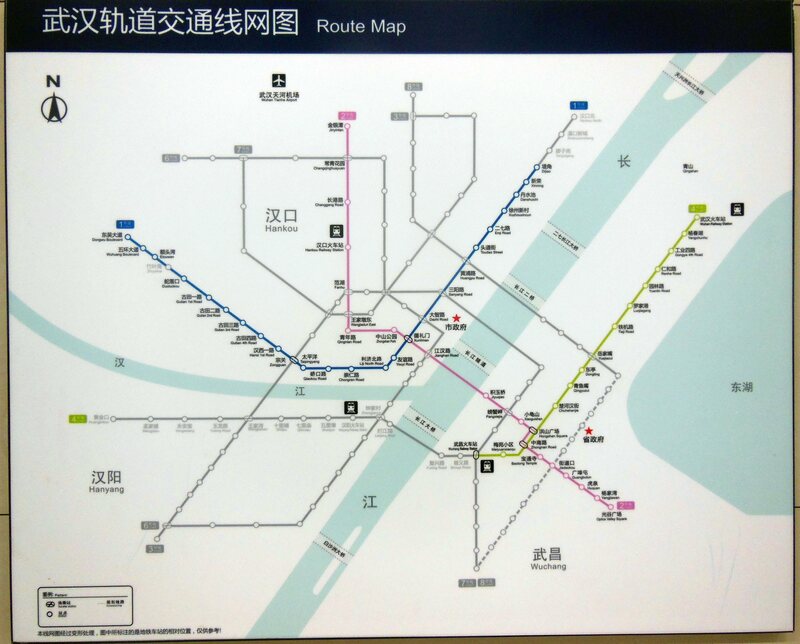 Line 1 is super - like Beijing Line 1 and 2 and Shanghai Line 3, it just gets on with what it is supposed to do without pretending to be anything else - rough and ready and unsophisticated. 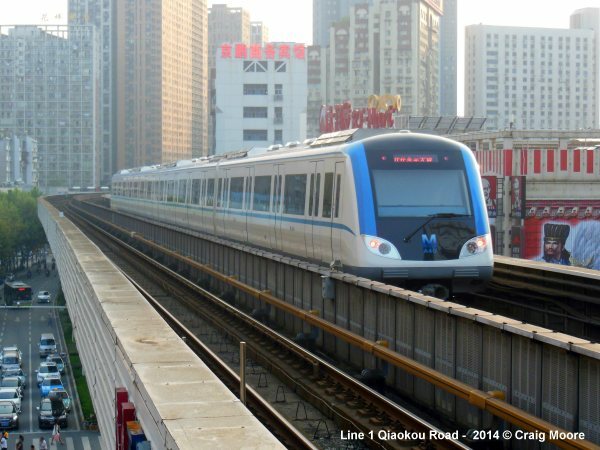 Lines 2 and 4 are of the ‘template’ phase of construction in China, such lines being common across the country and although the lines here have some redeeming features, they are pretty standard in most cases. 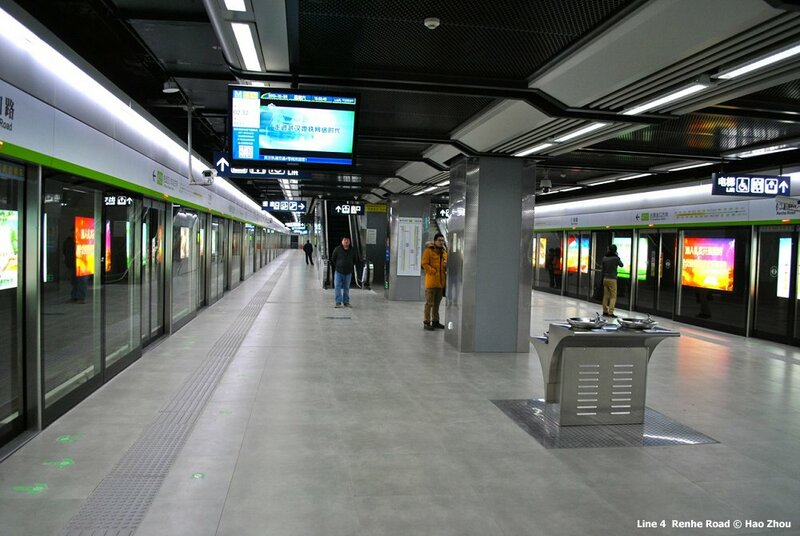 I went on the L2 extension toward the Airport and hoped that a 5-year gap in openings would bring much difference but the stations are just newer/cleaner versions of the original provision. 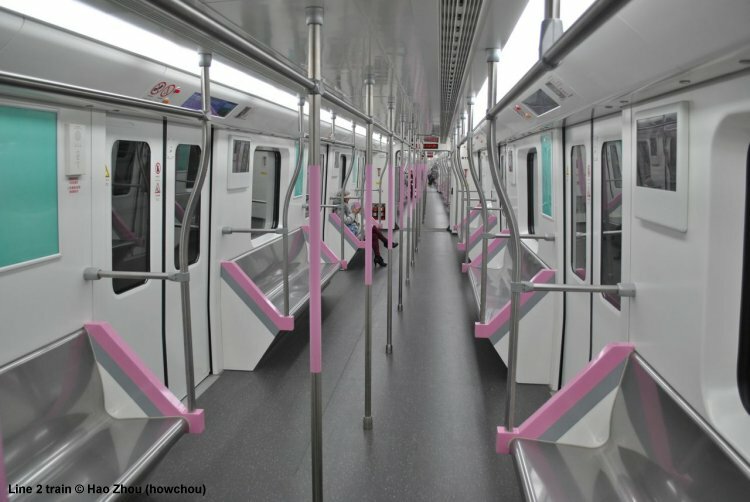 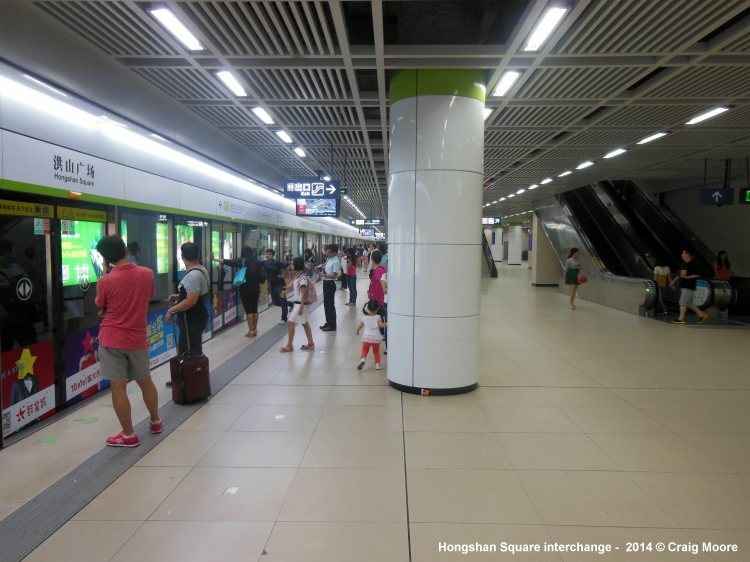 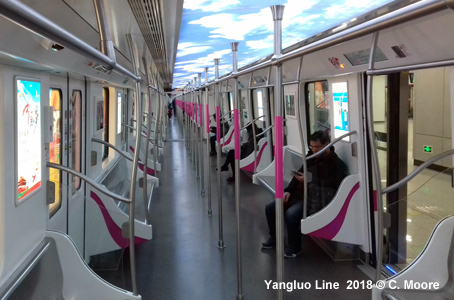 Line 3 opened just over a year ago and the distinctness given to individual stations is more evident but then the real leap has come in the subsequent period. 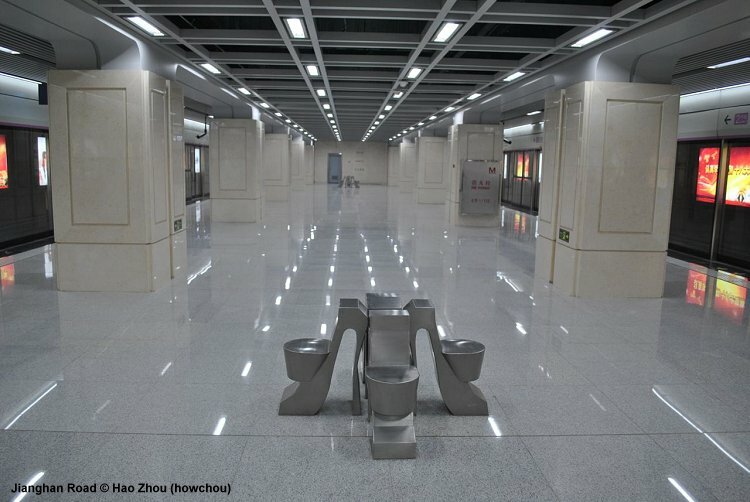 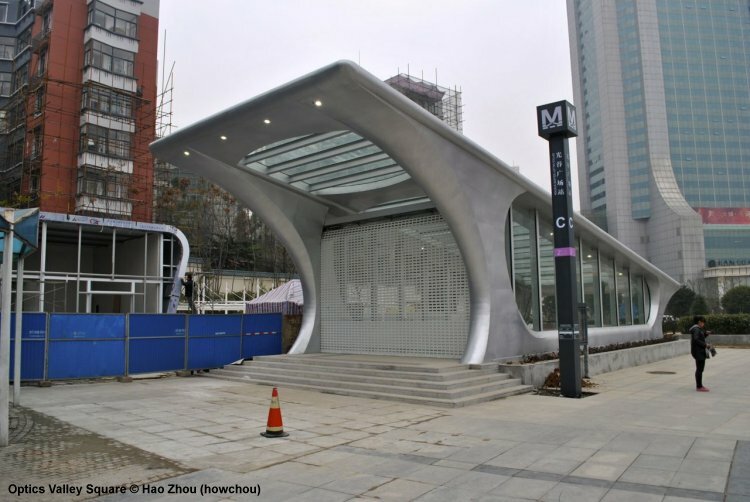 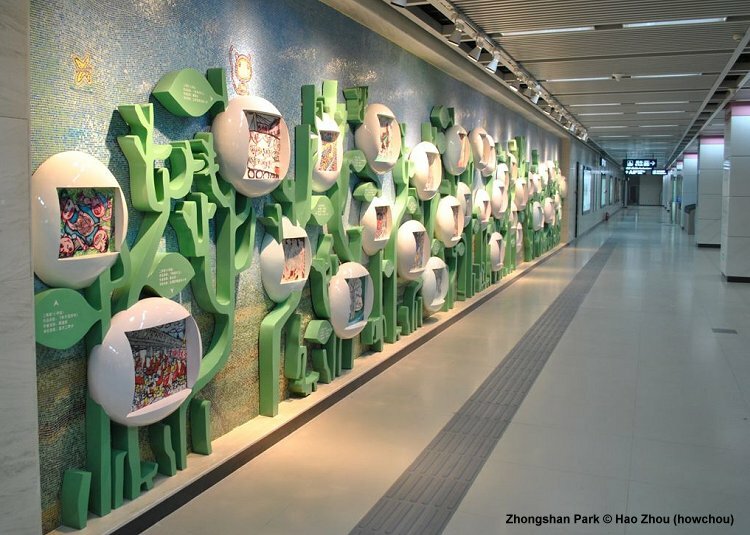 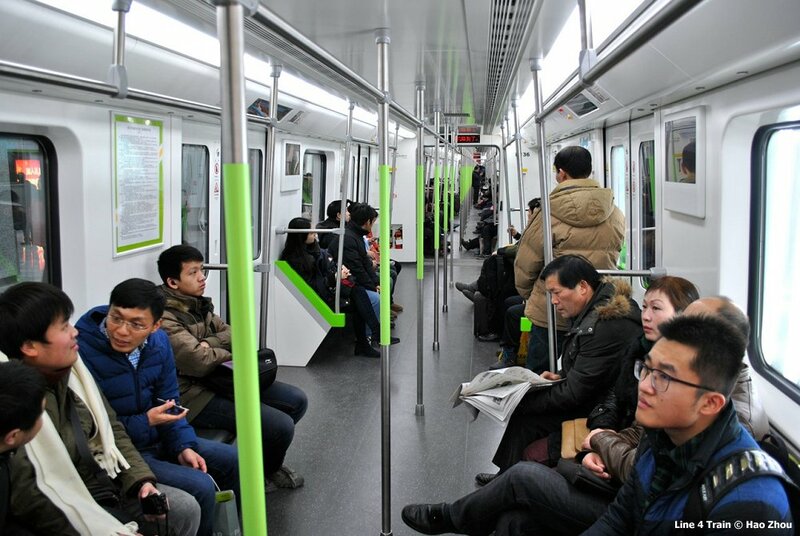 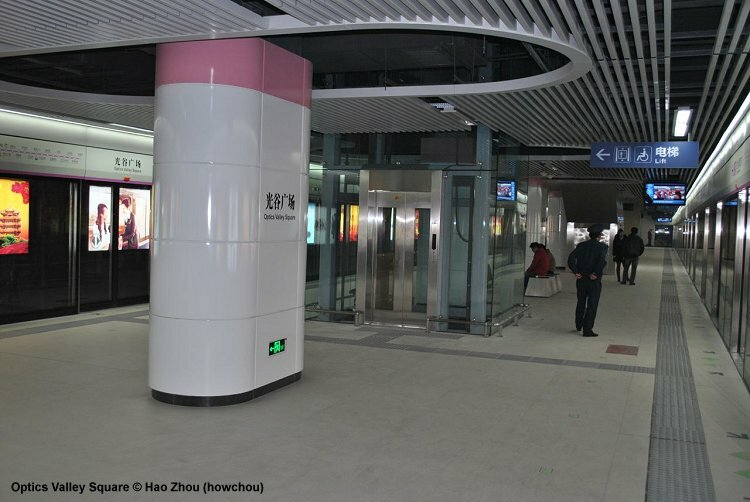 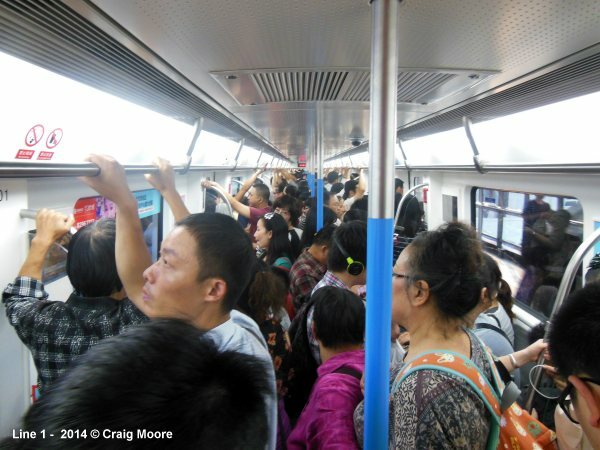 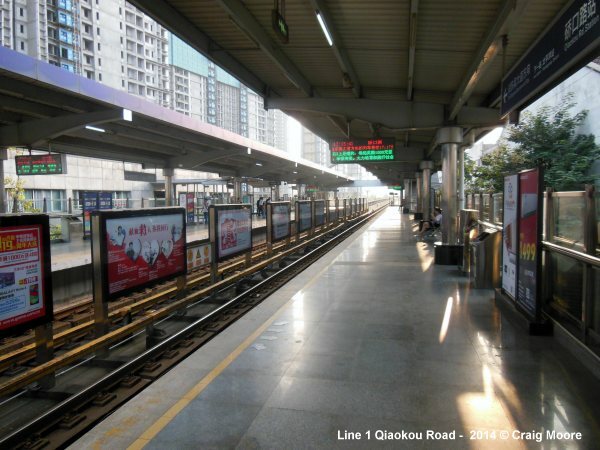 Many of the lines opened across China in 2016 and now Line 6 here in Wuhan are more stylish with ornamentation at stations being quite different and it seems the designers have moved away from wanting to represent a westernised/efficient/smart style to one in which Chinese heritage is the main focus. 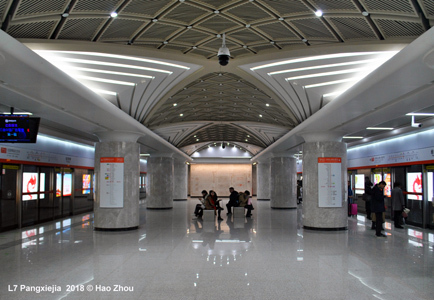 Lots of motifs with scenes from Chinese history, lots of Chinese traditional design on platform pillars and ceilings; and also a bold use of calligraphy (which used to be played down in preference of the Latin alphabet). 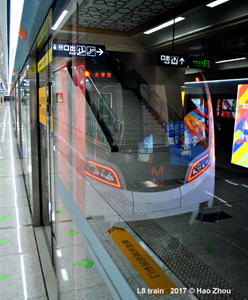 On the trains themselves, the use of dynamic strip maps and LCD displays is also very impressive. 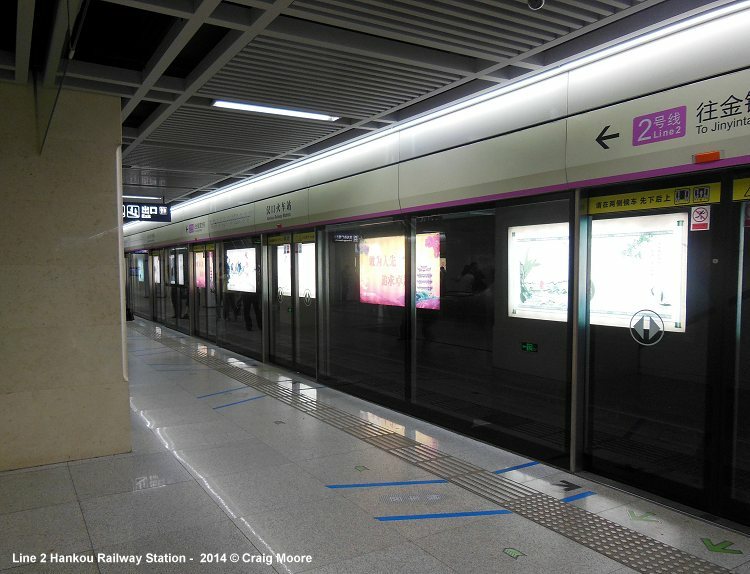 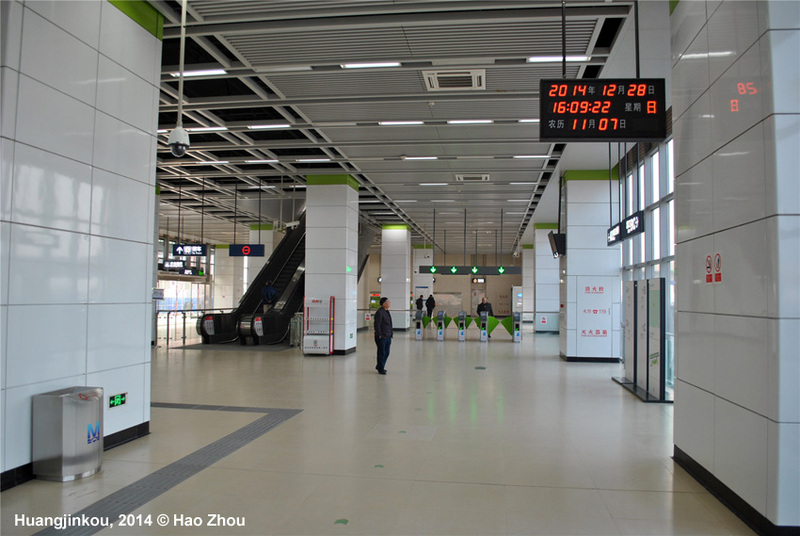 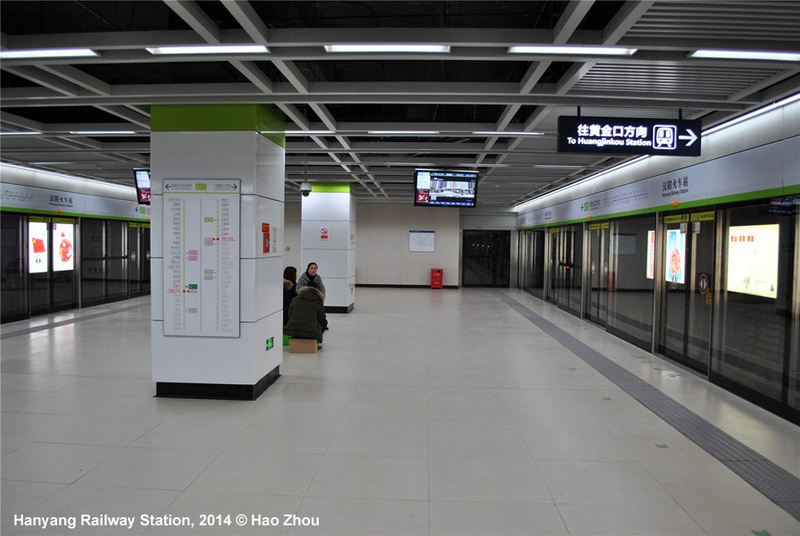 I really like this new confidence in their Metro design and Line 6 in Wuhan is a clear example of this change of style – some really nice stations particularly in the centre with CRRC stock and 6/7min headways. 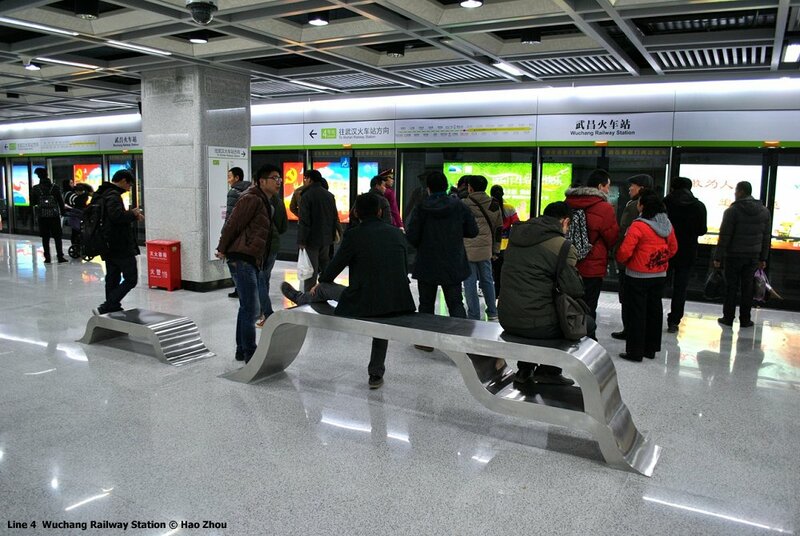 A very impressive line! 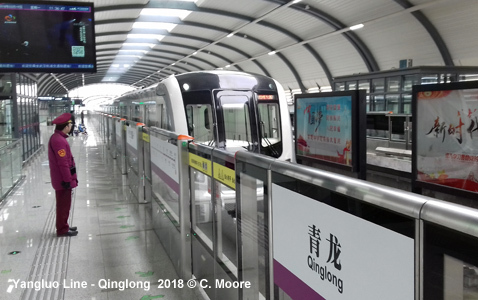 Also to note that every other train heading north on Line 2 terminates at Jinyintan and headways from there to the airport (not very well patronised part of the line) is 10mins."